I don’t particularly care for superhero movies. I don’t have any sort of general objection to them as a genre, but they’re just not really my “thing.” And yet, I found myself in Harper Theater watching a film called Captain America: The Winter Soldier last Friday. Thankfully, The Winter Soldier does all the little things right: It’s topical, it’s got compelling leads, and it even throws a pretty major plot twist in there for good measure. Even Scarlett Johansson’s turn as Natasha Romanoff/Black Widow was surprisingly tasteful, despite the fact that a few of her scenes had some serious “strong female character” vibes to them. That’s all well and good. But I still don’t really like superhero movies, particularly of the post–Iron Man Marvel Studios variety. Out of the (count ’em!) nine films that have been released as part of something that Wikipedia calls the Marvel Cinematic Universe (or MCU for short), I’ve somehow seen all but three. I don’t think I’ve sat down to watch Iron Man since it was released in 2008, so the details are a little foggy, but I remember enjoying it quite a bit as a 15-year-old. I can’t say the same about any of the other MCU films; more than anything, I just don’t remember them. That isn’t to say that there’s anything necessarily wrong with the over $6-billion empire Marvel has built over the past seven years or so—I just don’t really like it. To be fair, I don’t really dislike it either; generally speaking, the films don’t make me feel much at all. I had already paid my $6 at the door, and nothing onscreen was aggressively bad enough to warrant walking out. Instead, my dispassionate reaction to The Winter Soldier left me with a couple hours to just think. More than anything else, I used this time to question the thought processes that led me to the latest installment in the MCU. To be honest, the only reason I even saw Captain America: The Winter Soldier (and The Avengers, for that matter) was because of the overwhelmingly positive critical reception it received (although the close proximity and cheap price of Harper didn’t hurt either). As I do most weeks, I went to see how the latest crop of new releases was faring over at Metacritic and Rotten Tomatoes. 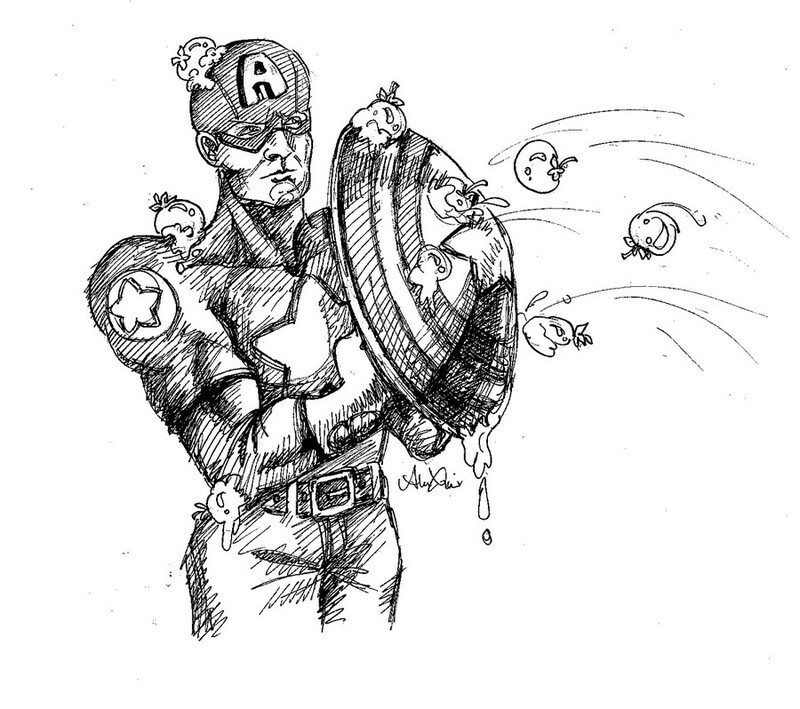 “That new Captain America movie’s got 89 percent on Rotten Tomatoes! I should go see it!” I thought, sadly. Never mind the fact that I didn’t like Captain America: The First Avenger. The Winter Soldier’s nearly two-and-a-half-hour runtime should have made it an even tougher sell, yet I still expected the film to deliver in ways that were patently unreasonable. In an age where web page critical consensus is just a webpage or two away, we tend to forget that movies are almost always matters of taste. As a cinema and media studies major, I should absolutely be the first person to tell you this—on more than a few occasions, I’ve left the screening room utterly confounded by a professor’s decision to include a particular movie on her syllabus—yet I still trust anonymous percentages to recommend movies to me significantly more than I trust myself to know what I enjoy. While there’s certainly some value in websites that aggregate reviews, it should go without saying that the Certified Fresh seal should be taken with a good-sized heap of salt. I’ve spent countless hours watching movies in the theater, at home, and in class. If nothing else, I have at least gained a vague sense of what kinds of films I enjoy. As blockbuster season approaches and we move toward Phase Two of the Marvel Cinematic Universe, I’ll try to resist the charms of The Amazing Spider-Man 2, X-Men: Days of Future Past, and Transformers: Age of Extinction, even if a small group of websites put high numbers next to them that tell me I should go see them. There’s nothing inherently wrong with listening to friends (or professors, or websites, or random people on the train) who recommend movies to you—there’s just something dangerous about anything that foregrounds supposed quality over content. Art’s a personal thing! Sometimes websites like Rotten Tomatoes make me forget that.